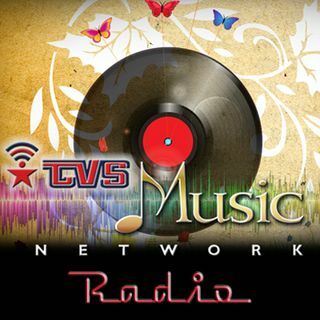 TVS Radio Shows provide 48 radio channels featuring the music, sports, and entertainment owned and produced by TVS. Upscale Blend of jazz, R&B, and hip popular music. Now Appearing at the famed Copa! You'll think you're on Bourbon Street! TVS Presents Christmas Music every day of the year! TVS Presents Music From More Than a Century of Broadway Plays! Free Preview of RKO Harmony Showcase, available for stores, businesses, restaurants, as an inexpensive alternative to Muzak. Hot rockabilly music from back in the day! Tel Ra Radio presents historic, classic, iconic radio shows that became TV shows in the early days of television. The Fred Wallin Show presents top sports topics, personalities, and newsmakers from the world of sports. Music from the Combined Artists Studios label, Applause Records. Bring Main Street Shopping right to you. TVS presents the latest bowling news, information, and interviews. TVS Notes Magazine presents radio shows discussing the record world. Classic and current premium sports and entertainment programming from the iconic Video Techniques company.